EDITORIAL Biafra: Now That IPOB Is Not An Unlawful Society, What Next? Biafra: Now That IPOB Is Not An Unlawful Society, What Next? The court’s trial judge held that though IPOB is not registered in Nigeria, there was no veritable evidence before the court to prove that IPOB managed by the defendants, was an unlawful society. The globally accepted definition of “indigenous peoples”, are those who inhabited a particular land before it was conquered by colonialists and who consider themselves distinct from the societies currently governing those territories. To put it more succinctly, indigenous peoples are those who having a historical continuity with pre-invasion and pre-colonial societies that developed on their territories, consider themselves distinct from other sectors of the societies now prevailing in those territories, or parts of them. They form at present non-dominant sectors of society and are determined to preserve, develop, and transmit to future generations their ancestral territories, and their ethnic identity, as the basis of their continued existence as peoples, in accordance with their own cultural patterns, social institutions, and legal systems. In this context, the Indigenous People of Biafra, IPOB, just like every other indigenous people of the world, whose existence is covered under the September 13, 2007, Declaration on the Rights of Indigenous Peoples by the UN General Assembly, is a natural phenomenon and not an artificial creation or attachment. The indigenous representatives around the world, numbering over 30 million indigenous peoples in Africa, the America, Asia, Europe and the Pacific, played a prominent role in the development of the United Nations Declaration on the Rights of Indigenous Peoples (UNDRIP). This was after considering the fact that they are among the most endangered, marginalized and frequently victimized people in the world such as the inhumane manner IPOB has been treated in Nigeria since her amalgamation. This universal human rights instrument is celebrated around the globe as a symbol of triumph and hope. While it is not legally binding on States and does not impose legal obligations on governments, the Declaration carries considerable moral force. The effective implementation of the Declaration would result in significant improvements in the global situation of the indigenous peoples because it was embedded with a recognizable wide range of basic human rights and fundamental freedoms of the indigenous peoples which include right to unrestricted self-determination, an inalienable collective right of ownership, use and control of lands, territories and other natural resources discovered in their lands. Also included but not limited, is their rights in terms of maintaining and developing their own political, religious, cultural and educational institutions along with the protection of their cultural and intellectual properties. The Declaration of which Nigeria is a signatory to highlights the requirements for prior and informed consultation, participation and consent in activities of any kind that impact on indigenous peoples, their properties or territories. It also establishes the requirement for fair and adequate compensation for violation of the rights recognized in the Declaration and establishes guarantees against ethnocide and genocide. The Declaration also provides fair and mutually acceptable procedures to resolve conflicts between indigenous peoples and States, including procedures such as negotiations, mediation, arbitration, national courts and international and regional mechanisms for denouncing and examining human rights violations. Having explained all these, it is natural, logical and not surprising that one of the greatest feat IPOB under the leadership of Mazi Nnamdi Kanu has been able to achieve within the context of the Nigerian State, is the declaration by a High Court operating in the Nigeria’s capital that IPOB is not an unlawful society as posited by the Federal government of Nigeria. No judge in his right senses will risk proclaiming an “indigenous people” who are owners of their lands “unlawful” and this is the point where I must commend not only Justice Nyako but other Nigerian judges for not allowing the ill-contrived sentiments of the Nigerian government overshadow their thoughts and perceptions against an indigenous people. It was quite understandable that the ulterior motive and ingenuity behind the Federal government’s application for the court to pronounce IPOB as an unlawful or outlawed group, was for it to have the full backing of the court of law in proscribing the peaceful group and its activities because it was perceived as a threat to the continuity of their one Nigeria. That was also why they included terrorism charges so as to be able to keep the IPOB leader in perpetual detention and then proceed to scuttle the Biafra restoration project as championed by IPOB. But they failed to realise that to prove that act of terrorism requires a proof of acts of terror. Just like the way the Boko Haram terror group was proscribed, the present administration was seeking ways to do the same to IPOB by slandering frivolous terrorism charges against the IPOB leader and Biafra agitators arrested during their outdoor activities such as demonstrations, rally, evangelism including indoor meetings and so on. It is one thing to level allegation of terrorism on IPOB but it is another ball game to prove it in the law court. In all the court cases I have reported involving Biafra agitators; I have noticed that they all posses a similar trend of charges lodged against them. If they are not accused of committing a treasonable felony, they are being slandered and arraigned for belonging to an unlawful society. I have also come to realize that at the end of it all, particularly the ones I have witnessed taking place at the Chief Magistrate Court in Enugu, all the accused will finally be acquitted and discharged for lack merit and proof of evidence. In fact, in one of the cases involving 36 members of IPOB arraigned before the Court, the Chief Magistrate ordered the Prosecutor to present an evidence or a certain document from the state or federal Attorney General outlawing IPOB as an illegal organization but been that nothing of such exist, the Prosecutor will begin to play all manner of tricks and antics after which the court without much hesitation will strike out the charges and acquit the defendants. This has been the manner judges at all level has been dismissing spurious charges seeking to stamp IPOB as an unlawful group. Now that it has been officially declared by a court of competent jurisdiction that IPOB is not an “unlawful society”, in a case filed by the Federal government of Nigeria, what then is the fate of IPOB in Nigeria? 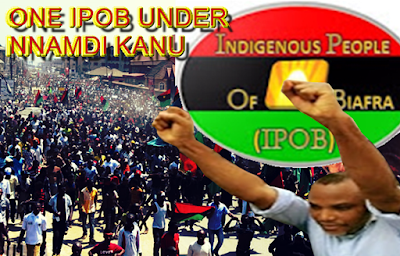 Will the Nigerian government and her unruly security agencies come to terms with the reality that IPOB is not only lawful but a revolutionized indigenous people that have evolved over the years in their natural habitat? 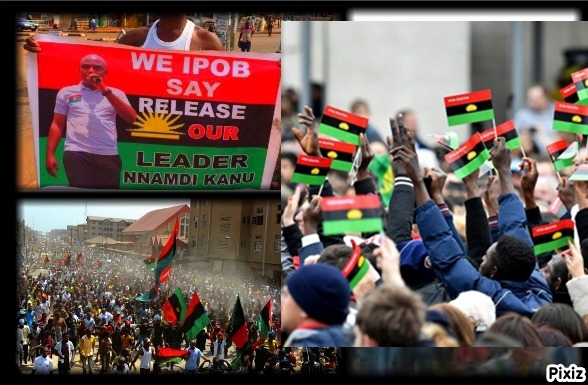 It is therefore high time the unmannered Nigerian government start seeing and accepting that IPOB has come to stay as an ethnic set of people existing in Biafraland in the present Nigeria’s Southeast and South-South geopolitical zones, with the right to self-determination and by virtue of that right, they can freely determine their own political status, and freely pursue their economic, social, cultural and religious development within their own desired entity. According to the United Nations Charter on the Rights of Indigenous Peoples, all fears or restrictions holding down the Indigenous People of Biafra from accessing clearly defined indigenous peoples’ rights must be subjected to permanent abrogation. As, indigenous people, this Charter to which the African Union and the Nigerian state are signatories, clearly states that we reserve the right to agitate for Biafra without fear of intimidation or harassment from within the Nigerian state and/or even in the diaspora. The global human rights Charter, therefore, shields the Indigenous People of Biafra from undue harassment, arrest, detention and even murder from the Nigerian state. The Nigerian Police, Army, DSS and other security agencies operating in Nigeria has no right whatsoever to invade and arrest any peaceful gathering or assembly of the Indigenous People of Biafra as doing so is in a material breach of the binding covenant they entered into and are in effect inviting full-blown anarchy. A breach of this right by the Nigerian state is tantamount to a collision between the Nigerian state and chaos on one side, and the United Nations and the IPOB on the other side. That a Nigerian court could clear IPOB as a legitimate body is enough conviction that the issue of Biafra is a genuine and undefeatable ideology that cannot be downed with military actions, government threats or high-handedness. In essence, the Nigerian security agencies must stop the use of excessive force, brutality and aggression in dealing with the issues of IPOB as a people. Nigeria must not only order for the release of all Biafra detainees but henceforth desist from the unwarranted arrest of Biafra protesters on the streets of Biafra land or anywhere for that matter in Nigeria. Since the Court has directed them to threat IPOB as they would treat other citizens, they must henceforth refrain from the arbitrary arrest and killing of IPOB members anywhere they see them but rather charge them to court if found culpable just like other citizens of the country. Just like other indigenous peoples of the world, it is not unlawful for one to belong to IPOB or declare self as such. Under normal circumstances, it is the duty of the Nigerian security operatives to protect the lives and properties of IPOB until they regain their freedom. Nigeria must, as a matter of fact, issue a legal protection for Biafrans in Nigeria and elsewhere. 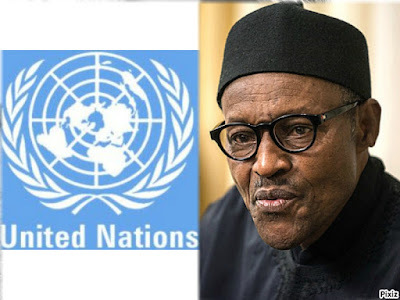 In all, they must begin to allow IPOB to operate freely and carry out its activities within the context and limits of the laws of the United Nations Charter for indigenous peoples. It is true that IPOB is not registered with the Corporate Affairs Commission (CAC) of Nigeria but it is duly registered and recognized by the UN and has representation in over 30 countries where it is registered. On the other hand, Radio Biafra London, RBL, is also registered with the United Kingdom Companies Act, 2006, and certified by the registrar of companies for England and Wales. As revealed by the documents Nnamdi Kanu filed before the court, IPOB is registered under the United Kingdom Companies Act 2006 and has a certificate with registration number 9141882. It is, therefore, time, the Nigerian government accord the IPOB and its leadership the recognition it rightly deserves in the present Nigerian system until Biafra peacefully exits the British prison called Nigeria.